Over/Under: Over 167.5 at 1.90 Bet Now! One of the biggest clashes in sport takes place once again in the Top 16 as FC Barcelona and Real Madrid both go hunting for the win that will see them push on for the playoffs. There is always drama and excitement when these two clash and any basketball fan looking for a game to watch this midweek will find that this is the one to look out for. Barcelona have a 9-1 European record at home against Madrid, and this will be one reason why they are confident going into this game. Another reason the Catalan giants will be confident is the fact that they managed to win 86-87 when the two teams clashed in Madrid earlier on in this campaign. Justin Doellman was the player with the buzzer beating shot in that game, and Doellman also notched the buzzer-beating shot that downed CSKA Moscow last week. Doellman is clearly the player for the big occasion but he is far from being the only Barcelona who can damage an opponent, which Real Madrid will be very much aware of. While Real Madrid have been far from their best this season, they do currently hold a better record than their rivals. The 6-4 record sees Madrid in third while Barcelona rear in fourth with a 5-5 record. If Madrid can grab an away win, they can be highly confident of staying ahead of their bitter rivals, and this should be more than enough to push them into the playoffs again. There were doubts that the reigning champions would make it into the Top 16 but an away win this midweek will leave them feeling confident about the playoffs and the dream of retaining their title would still be alive. 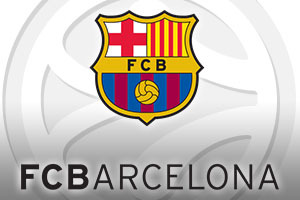 The bookmakers don’t believe that there is too much between these teams but they do make the Catalan club the slight favourites. 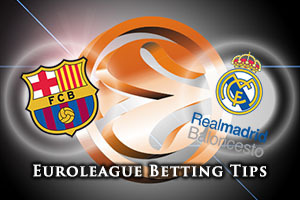 You will find FC Barcelona Lassa at -3.5, which is definitely worth looking into at odds of 1.90. For the Over/Under market, you should look into going OVER 167.5 which is on offer at odds of 1.90. Bet Now!